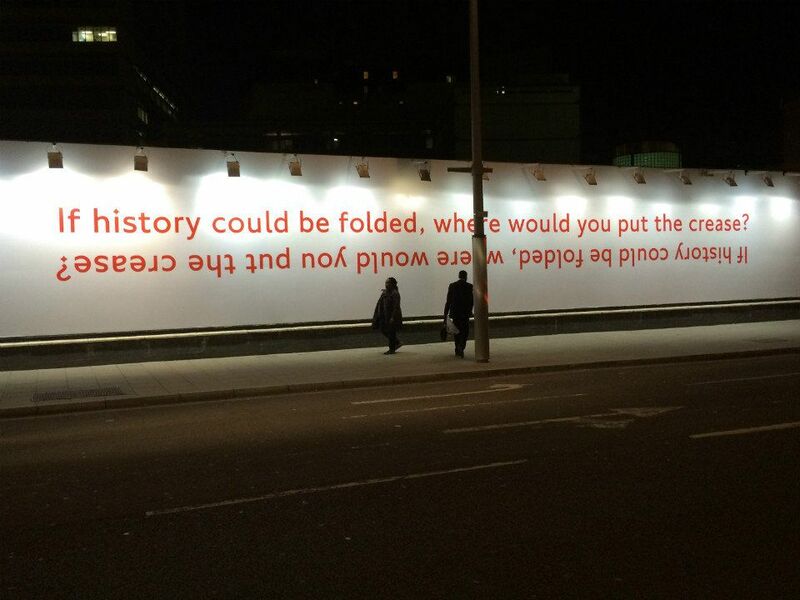 Richard Wentworth - if history coul dbe folded where would you put the crease? THIS HAS NOTHING TO DO WITH POLITICS is an exhibition and events programme that brings together artists who are alert to social and political interest, and yet whose works occupy a distance to politics. The show asks if this ambivalence is a politically productive one and how methodologies of art or performance-making help us envisage a political engagement that is outside current frameworks. This exhibition brings together artists who are alert to or are informed by social and political interest, and yet whose works occupy a distance to politics. The show explores this gap and asks if this ambivalence is a politically productive one and whether this dissociation in itself could be a form of resistance to the limitations of how one can be politically engaged today. - How do attitudes of refusal challenge histories and engaged approaches to political resistance? - How can methodologies of art or performance-making help us envisage a political engagement that is outside current frameworks? - How do artistic enquiries contribute to the praxis of political resistance, and vice versa? The exhibition will also feature works by Nicola Thomas and Rose Gibbs who undertook short residencies with JUST West Yorkshire, a human rights and racial justice NGO based in Bradford. Collapsing the difference between rational argument and artistic expression, there will be a visual/performance debate comprising ‘speakers’ on both sides who will present performances, images or spoken word on the motion: ‘This House believes that art has nothing to do with politics’. Visitors are invited to enter and participate in an installation which is a bar for one guest at a time. The work/bar will also be open on the evening of 27 Nov 2014. The audience is invited to engage in a collective reading and repetition of historical speeches that explores the division and coming together of the individual and the collective. Jack Tan will present a call in the form of a performance lecture comprising speech(es), text and/or song on ‘Radical Refusal and the Undercommons’. A number of art, design and curatorial collectives will participate in a roundtable to discuss their experiences of operating within the current political climate, with a view of exchanging current knowledge of social and artistic practices, and to establish a supportive network. Contact Jack Tan if you would like to join the roundtable.